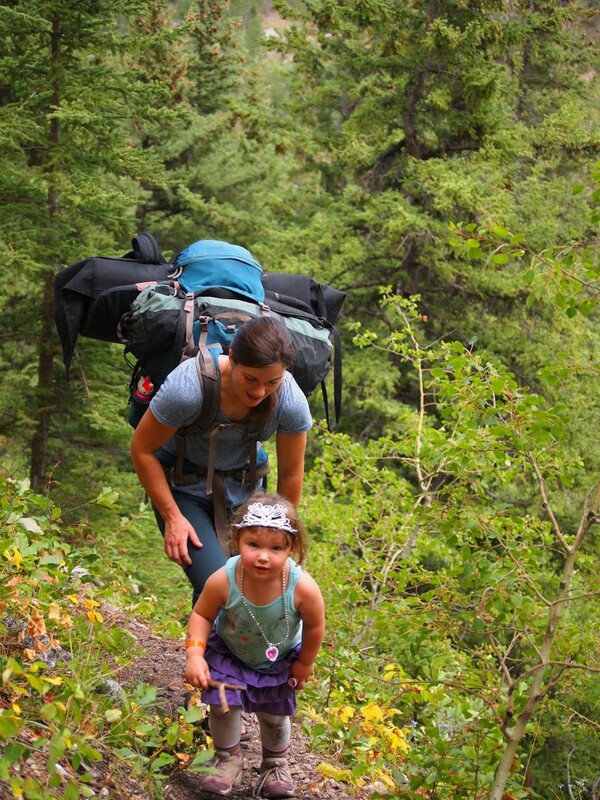 Home » Featured » Climbing with Kids – What a Long, Strange Trip it’s Been! 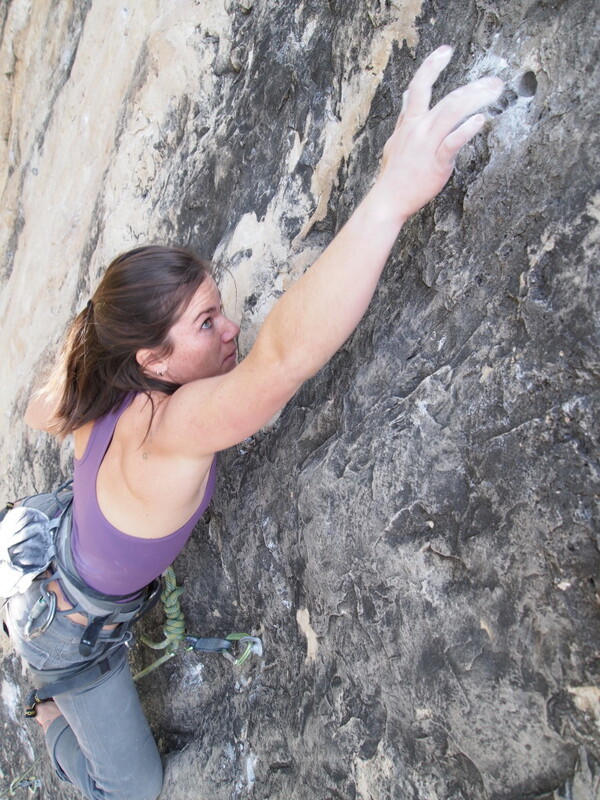 I was introduced to climbing 7 years ago; 6 years ago, I got married and became pregnant. Therefore, my life as a wife and mother has been experienced in tandem with—and through the lens of—rock climbing. I met my husband on my first day of climbing. Then, after a year of having my world turned upside-down by the experience and adrenalin that climbing provides, I climbed pregnant, because I had to. Then I rocked babies between routes and belays, nursing discreetly in the background while cheering on others. Both of my children were at the crag, and camping to boot, within days of being born; this is the only life they know. And I like it that way! Initially, I didn’t know what to expect from attempting the climbing lifestyle with kids; and at times I feared it was too difficult to continue. My husband spent years hiking play-pens up steep, winding trails; and for multiple seasons our route-schedule was highly dependent on inconsistent naptimes. There were times I thought I’d never climb the way I could have climbed had it not been for kids, and I envied my friends who had freedom and whose bodies weren’t stretching in all directions to grow a child! But now, at ages 6 and 4, my kids play easily at the crag, and our climbing-as-a-family-routine is more or less comfortable. The kids build forts and run wild in the woods, while we throw ourselves at the rock, hoping for its mercy through split tips and burning forearms. 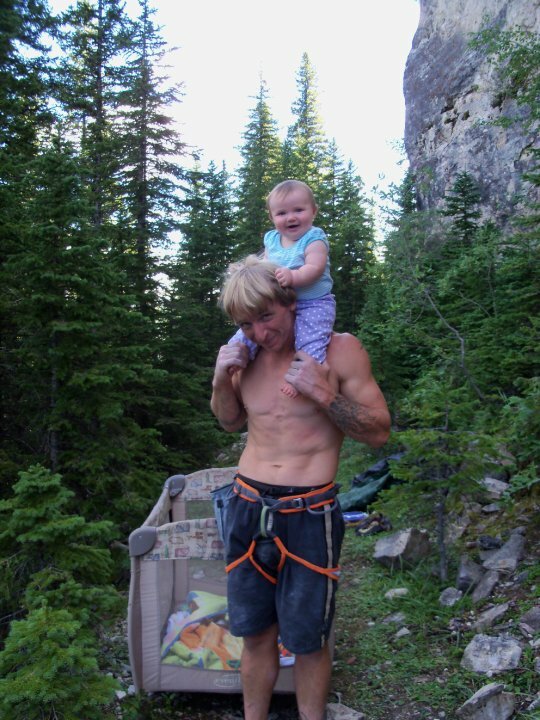 Climbing with kids hasn’t always been easy, but the rewards have more than compensated for the obstacles we’ve overcome! Through it all, I’ve loved it. And as I raised my kids I simultaneously grew as a climber. All those years that I thought I was just “keeping in shape,” climbing pregnant and post-partum, I was really gaining tendon strength and learning technique. 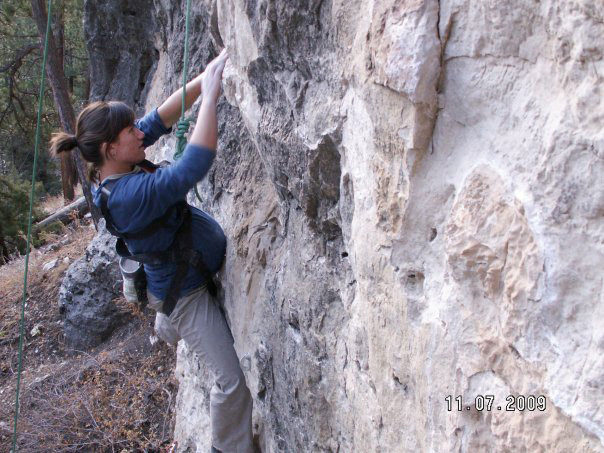 When I got pregnant the first time, I was just breaking into the realm of 5.11: by the time I retired my full-body “pregnancy harness,” I began climbing 5.13. My motivation just kept growing and I didn’t even realize all the physical progress that was happening until I arrived at a time when I could use it—when I was ready to get back on the sharp-end of the rope and see what I could do! 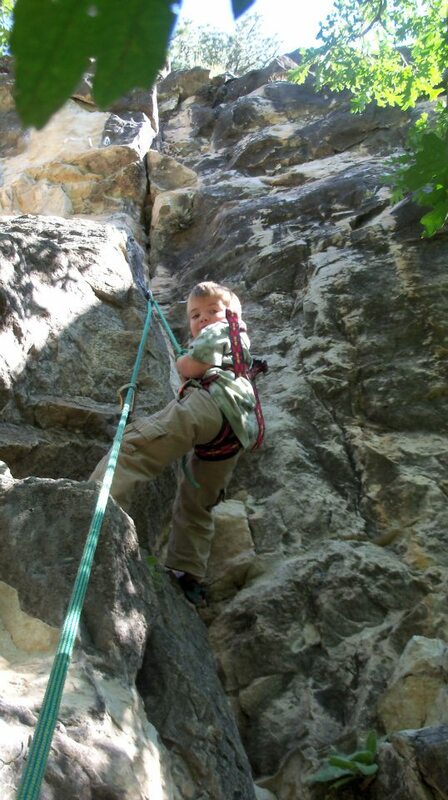 Spearfish Canyon is my home crag: my kids have learned to walk, talk, and interact with others at the stunning walls we frequent each week. And no, I can’t go wherever I want whenever I want: being a parent limits your options, for sure. But I also climb on a regular basis, drawing in vitamin D and memories like mad, pushing my limits past excitement, past fear, all the way to thrill. And when my kids talk about playing in the “dihedral” of a room, and know how to tie three different knots, and shout “you can do it, mom, don’t let go!” when I’m in the middle of a thin, airy crux … I realize I’ve made a life I couldn’t have imagined if I’d tried. And it’s so much fuller than I could have ever dreamed! Beautiful, Allison!!! So proud of you and your family. You are such an amazing person and mom!!! Allison, you rock our world! Thanks so much for sharing your story. I’m 36 weeks pregnant and still climbing. 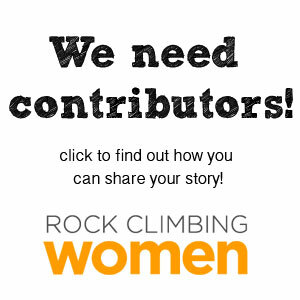 Hearing stories of other women who kept climbing with kids, and especially who kept progressing in their climbing after having kids, is really inspiring! Katie! I’m guessing you now have a baby around 7 months old… and depending on where you live, it could be cold outside 🙂 Hopefully, you’ve been getting out on the rock, and more importantly enjoying motherhood and finding the right balance and routine to it all! In case you’re struggling (whether from lack of sleep, finding safe places to climb with the baby, winter weather, or any of the countless other issues that parenting presents), I want to encourage you and congratulate on making it this far! The encouragement part is that it just gets better and better! Re climbing: I think years 1-3 are the most difficult, so as you enter those sometimes “difficult” years, know that they fly by, it’ll get easier, and you’ll be stronger and your life will be fuller by the end of it!